Australia boasts golden beaches and iconic landmarks, unique native wildlife and a laid back Aussie lifestyle. More recently it’s also becoming known for producing some of the world’s best food and wine. And when it comes to the food and wine there’s no better experience than overindulging for a carefree day or two in a wine region.Like the Hunter Valley, just a two hour drive from Sydney. 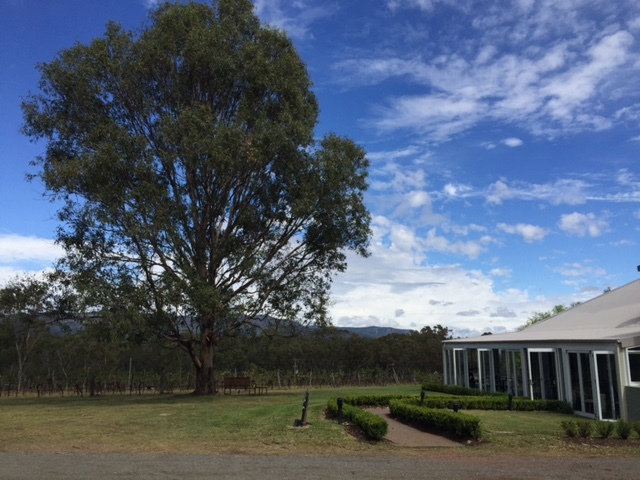 The Hunter Valley has over 140 wineries and cellar doors. It’s well known for producing top class Semillon, Shiraz and Chardonnay. At the same time the region boasts a handful of award winning restaurants. Restaurants that offer out-of-the-ordinary dining experiences, with stunning vineyard vistas, adjoining cellar doors, kitchen gardens and more. 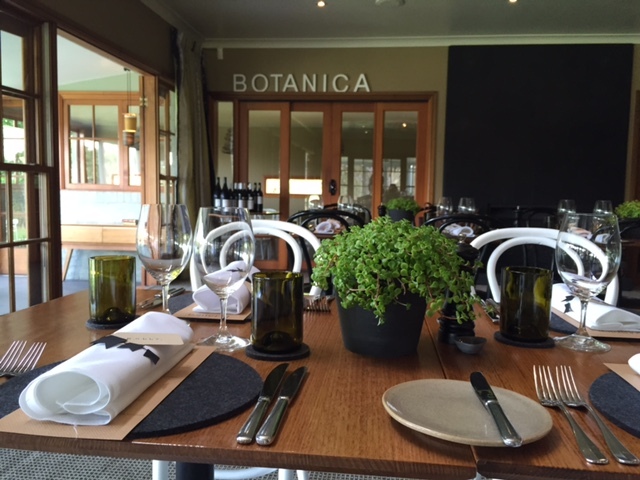 One of those restaurants is Restaurant Botanica, part of Spicers Vineyards Estate. 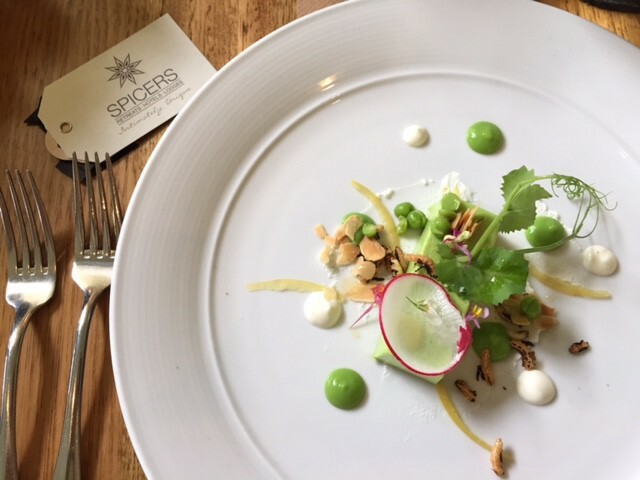 After my first dinner at Restaurant Botanica in 2013 I was recently lucky enough to be invited back – but this time for a lunch to celebrate the hot-off-the-press menu from new Head Chef Joshua Duncan. 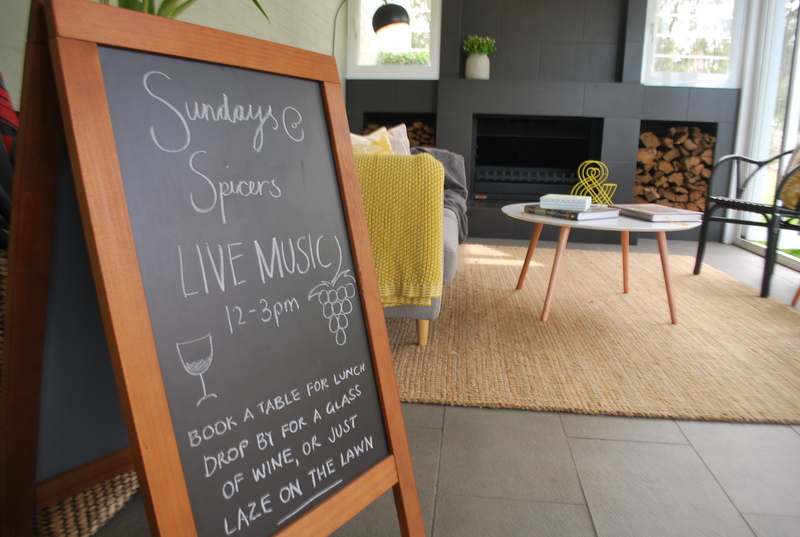 The boutique accommodation at Spicers Vineyards Estate and adjoining restaurant are co-owned and operated by husband and wife team Mark and Belinda Stapleton, alongside Jude and Graham Turner (Graham is founder and CEO of Flight Centre). 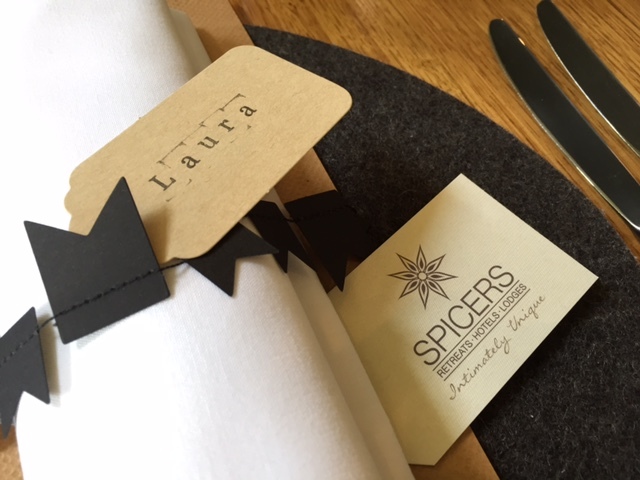 Since 2008 they’ve been on a journey to transform an ordinary bed & breakfast into a luxury 12 room retreat that’s especially suited to couples (and of course foodies). During this time they’ve earned Restaurant Botanica a strong reputation for the high quality and consistency of its produce and menu. 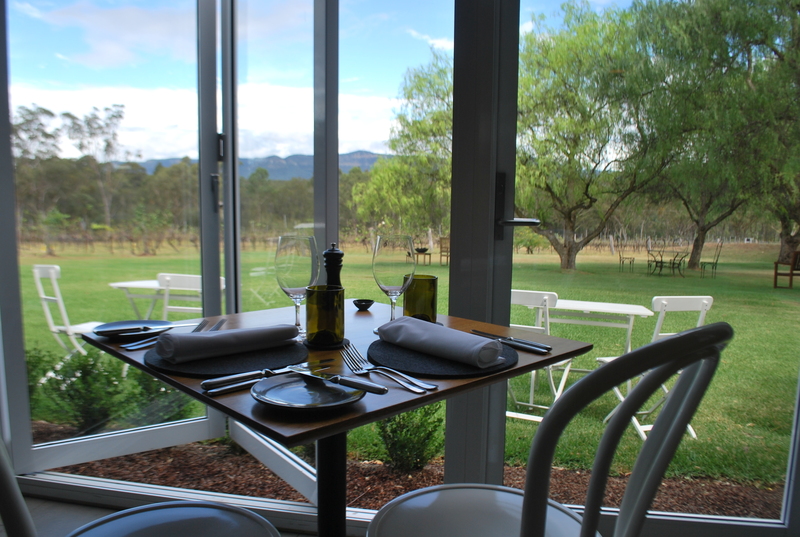 Today the restaurant is highly praised for delivering an overall experience that fits perfectly into a forget-your-worries (and drink lots of wine) trip to the Hunter Valley. Until now Executive Chef Mark Stapleton’s experienced hands have looked after Restaurant Botanica. New Head Chef Joshua brings with him years of diverse experience – having worked everywhere from the Hunter Valley previously, to overseas in London and Dubai. Most recently he oversaw the menu and kitchen at Hayman Island’s new luxurious One & Only Resort. The transition from Mark to Joshua appears to have been a smooth one. The menu continues to be modern Australian delivered alongside a philosophy of producing food that’s fresh, seasonal and rustic. Every dish is beautifully crafted and presented and continues to align perfectly to the expectations conjured up by the name ‘Botanica’. The on-site kitchen garden is obviously a strong source of inspiration, with seasonal herbs and vegetables, like heirloom carrots, cropping up in everywhere. Joshua’s execution is clearly well-thought through and innovative. He transforms the humble and too often under-rated pea into an elegant pea & almond pannacotta. The cured pork belly is plated in thin almost carpaccio like slices, encouraging you to savour ever mouthful of what’s often a meaty dish. 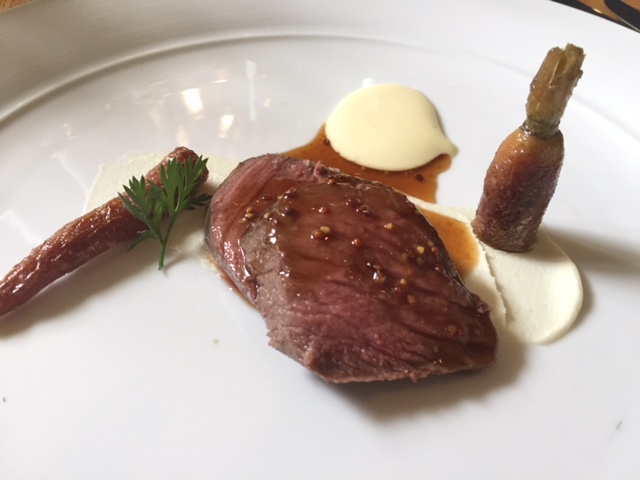 He then follows the pannacotta and pork belly with two courses that showcase some of the finest local red meat – Wagyu beef cheek and Mandagery Creek venison. 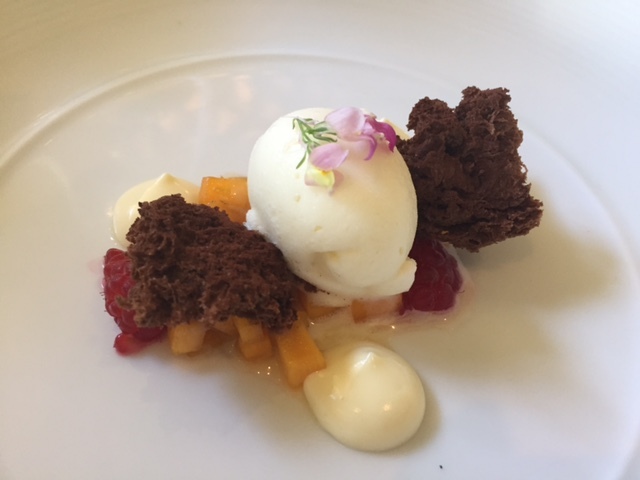 Joshua’s clever cooking continues through to dessert, with the vanilla & white chocolate sabayon an unexpected combination of textures and flavours, topped with an edible flower in another nod to the kitchen garden just a few metres away. The wine? 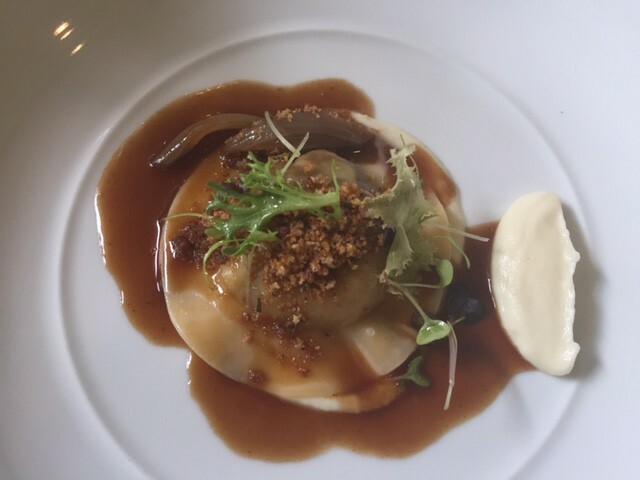 The selection is one of the best in the Hunter Valley and has consistently maintained a 2 glass rating in the Gourmet Traveller Wine list Awards. 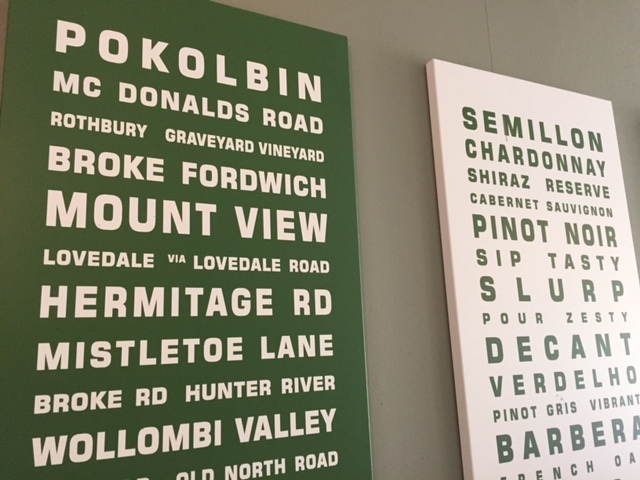 The list is over 300 long and admirably supports many wines from the Hunter Valley and broader New South Wales. Introducing a new Head Chef could be seen as a gamble. It’s still early days but that gamble appears to have paid off. Recent guests continue to flock to Trip Advisor to rave about their “Best meal in Australia!”; and to tell others “Don’t miss this dinner in the Hunter”. 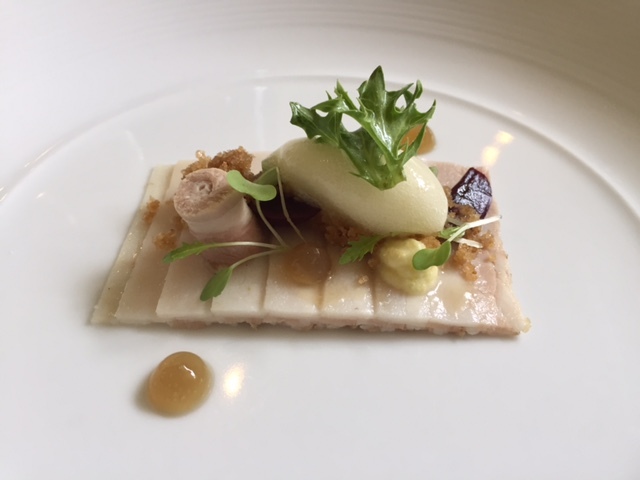 What’s clear is that although the Head Chef has changed, the overall experience remains just as good. What makes this overall experience? Restaurant Botanica seems to get right those little details that are too often overlooked. Like their can’t-stop-at one-slice sourdough bread, that’s made in-house from a 100 year old starter. Like the extra mile (and cost) they go to provide top quality Riedel wine glasses that enhance customers’ appreciation of the wine. And not forgetting the wait staff – they all wear a name-badge so you can converse with them on friendly terms, better still many of the team have worked with Belinda and Mark since the early days so they really do know their stuff. 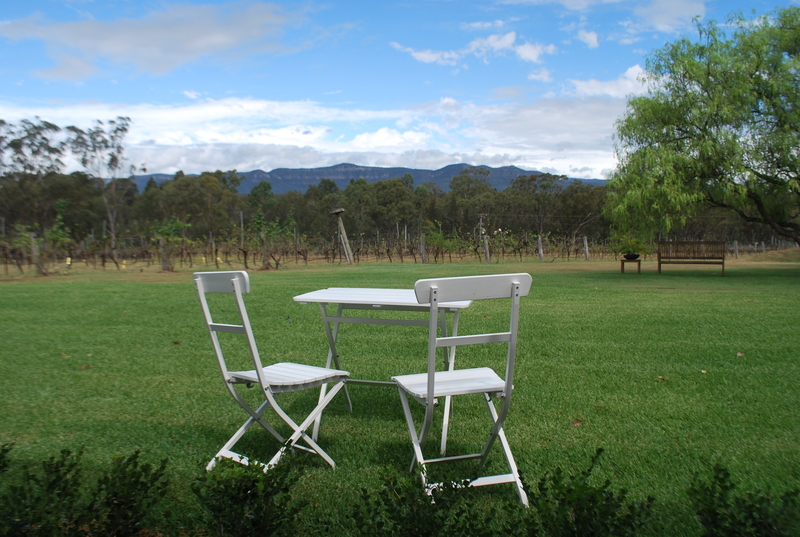 Visit for a lazy Sunday lunch and enjoy live jazz music on the verandah with views out to the Brokenback Mountain range. Or splash out on an overnight accommodation and dinner package, knowing that post-meal you can retreat to your room and squeeze in another glass of Hunter Valley Shiraz in front of the open fire. 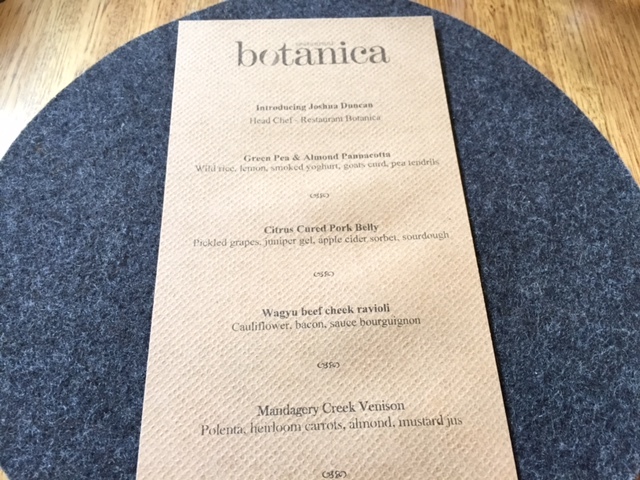 I was invited to visit Restaurant Botanica as a guest for the new menu launch. 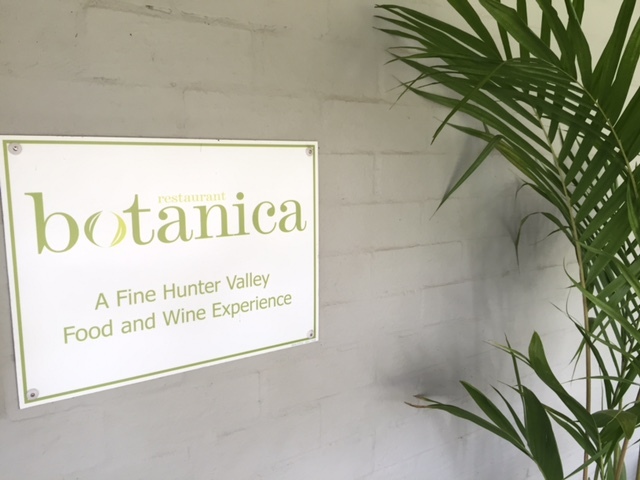 Tags: Hunter Valley, menu, Restaurant Botanica, review, Spicers Vineyards Estate. Bookmark the permalink. The presentation of all the meals look amazing. I really should start planning another visit to the Hunter! Yes the presentation is as good as the stunning setting – yes you should plan a Winter weekend away! Can’t stop staring at the plating of the citrus-cured pork belly. So precise! Thanks for stopping by Helen and yes the presentation of the pork was a real stand out…..